Since the first Saturn automobiles were produced at what is today GM Spring Hill Manufacturing, the City of Spring Hill has always stood behind our local auto plant by purchasing GM vehicles for city staff and fleet transportation needs. 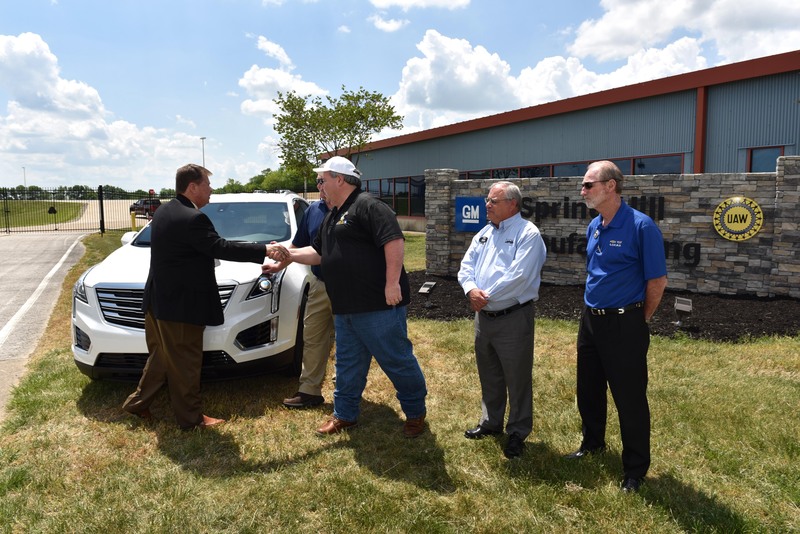 The City of Spring Hill continued that support on April 26 by purchasing one of the first dealer-delivered Cadillac XT5 crossover vehicles to be produced at the local GM facility. The City was officially conveyed the keys to the 2017, white, base-model XT5 at a key swap ceremony at the GM Spring Hill Manufacturing Welcome Center.